Pregnant Serena Williams has posed naked on the cover of August's Vanity Fair magazine. 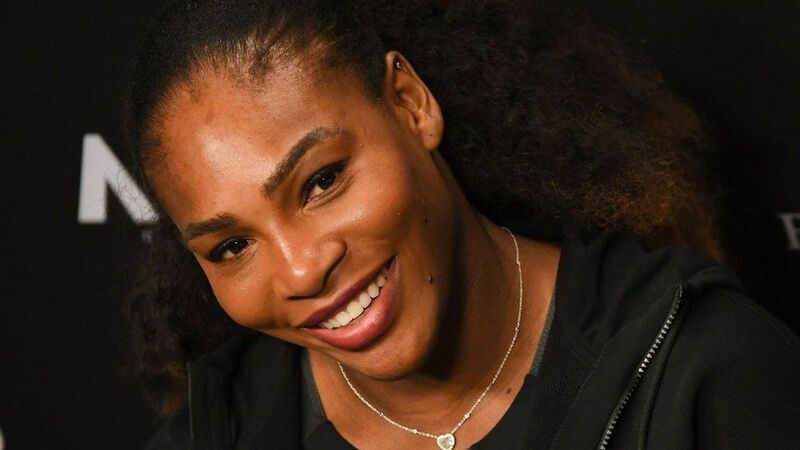 The tennis star found out she was expecting her first child with Reddit co-founder Alexis Ohanian just before the Australian Open in January. She told the magazine that she hadn't suspected anything until she was sick at the side of the court while practising. But her friend suspected she might be pregnant and suggested taking a test. Serena ended up taking a test while doing a photo shoot for a lingerie company at an Australian hotel and said her "heart literally dropped" when she saw the result. "Oh my God, this can't be - I've got to play a tournament," she said. "How am I going to play the Australian Open? I had planned on winning Wimbledon this year." Her friend Jessica was then sent back to the hotel chemist to buy five more test kits to convince Serena that she was pregnant. All of them were positive. He proposed last December at the same table at the Cavalieri Hotel in Italy where they'd first talked to each other.